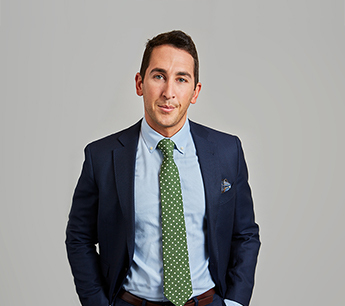 Michael Cohen joined RKF in 2014 as a Director in the firm’s New York office, specializing in both landlord and tenant representation in the New York metro area. His roster of landlord clients has grown to include institutions, such as SL Green, American Realty Capital, Broad Street Development, Savanna, and Hilton Development, as well as local Manhattan co-ops and investors. Michael’s tenant clients cover all facets of retail, including fashion, restaurants, and various other uses. He has worked with such notable retailers as Juice Generation, Lorna Jane, Suitsupply, Rizzoli Bookstore and Porsche. He is currently overseeing the New York rollouts of fast-casual chains Dig Inn and &pizza, as well as the expansion of the Asian-inspired QSR Itsu from the UK to the U.S. Some of his most significant transactions include the relocation of Rizzoli Bookstore from its renowned 57th Street location to the NoMAD area at 1123 Broadway, and representing Porsche Cars North America in the leasing of its new 175,000-SF Manhattan dealership at 711 Eleventh Avenue. Michael also represented the popular brand Canada Goose in opening its first ever U.S. retail store in SoHo. Prior to joining RKF, Michael worked at Newmark Grubb Knight Frank for over five years. He is originally from Los Angeles and earned a Bachelor of Science degree in Communication with a minor in Business from University of Arizona. Michael is a member of the International Council of Shopping Centers and the Real Estate Board of New York. He is on the board of Maccabi Young Leadership of New York.